I absolutely love Vera Wang's perfumes, they smell amazing and look great. 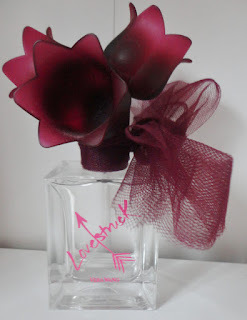 Lovestruck is a great floral perfume and is perfect for Summer. It is one of my favourite perfumes and I really need to buy more as I have run out. I really want to try Vera Wang's pink princess perfume and the bottle looks really cute. One of the thing I love about the perfumes is that they come in beautiful bottles and they look adorable.